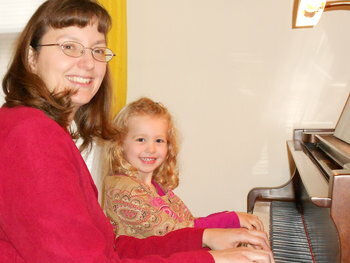 The Jeanne Martin Piano Studio offers private piano lessons in Merrimack, NH just 0.6 miles from Bedford, NH and just north of Reeds Ferry Elementary School. Learn to play from a highly experienced instructor at my busy and growing home studio! 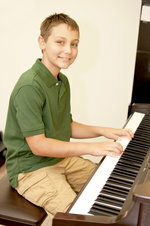 Since 1996, I have been teaching children and adults to play the piano. Lessons are offered Monday through Saturday. *Young Children - I use a special program for my four and five year old students that has been developed just for them - age appropriate and fun, young children can and do learn to read the notes and play the piano! *Children - receive a strong foundation including note reading, theory, technique, music appreciation and more. *Adults are welcome, whether you are a beginner or you've played before. To request more information, or to enroll as as new student, call or email today. Online registration for new students is also available. Click the link below to register online. 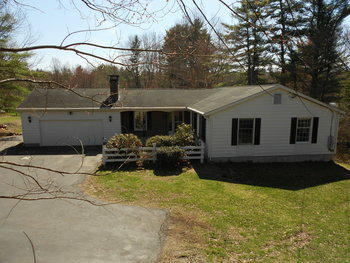 Note: Pearson Road in Merrimack is known as Liberty Hill Road in Bedford. Liberty Hill Road changes its name to Pearson Road at the border. 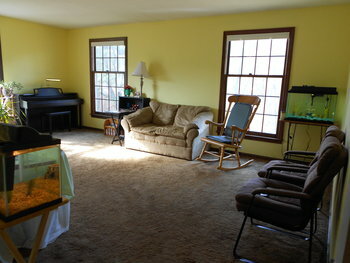 While parents are welcome to attend all lessons, there is also a comfortable waiting room available. Lessons are given Monday through Friday. I offer a special program developed by master piano teacher, Irena Gorin, called Tales of a Musical Journey. The main focus is on developing mastery of technique fundamentals. For example, good hand position, proper height of the piano bench, playing with the fingertips, use of the arms and wrists for more musical playing, and learning to play with the metronome. All these are very important fundamentals that can easily be learned by 4 and 5 year olds that will give them the musical tools to play the piano well for the rest of their lives. It all takes place in the context of an entertaining story, with fun characters who demonstrate the fundamentals of technique and note reading. Parents of children under 6 years of age are required to attend all lessons. I offer a yearly student recital opportunity. It's not mandatory, but I do encourage students to participate. 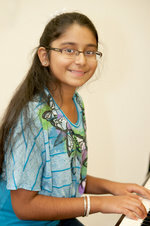 Taking part in a recital gives students an opportunity to perform, to show what they have learned, and for parents to see the progress from year to year. 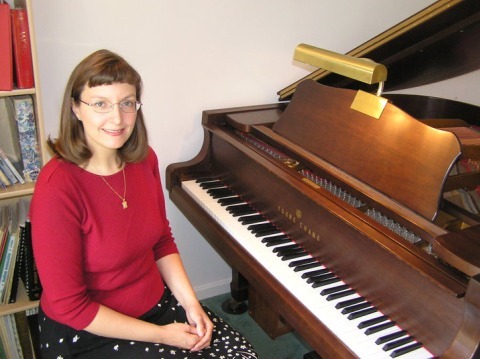 The 2019 Student Recital will be on Sunday, June 9th, and will be held at First Church at 1 Concord Street in Nashua, NH. There will be one recital at 1:45pm and a second recital at 4:15pm. Both events are free and open to the public. I am a registered teacher with Piano Maestro, an award winning app for iPad designed to help students become strong music readers. This means that students of the Jeanne Martin Piano Studio will have access to the full content of this app for free. The app works on iPad and iPad mini. While it is not necessary to own any kind of tablet to learn the piano, there are some very good resources available for these devices that can complement and add to piano lessons. Piano Maestro is one of these resources. Q. Do I need a piano at home to practice on? A. 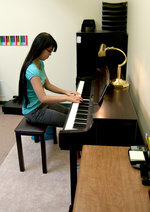 Students need some kind of keyboard or piano for daily practice at home. Does practice make perfect? It might - if you are practicing well. It might be better to say that practice makes permanent. If you practice slowly and carefully, your practice will be much more effective. As a general rule of thumb, I like to see at least 30 minutes of practice a day (except for very young students who may need shorter practice periods). Q. 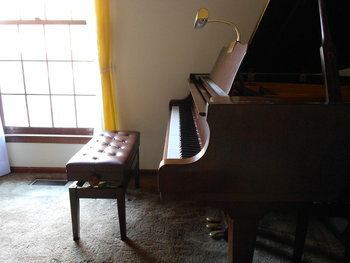 What kind of piano do I need? A. Any kind of acoustic piano is fine, but many people start with digital keyboards. It is essential to have full sized keys. I recommend a keyboard with at least 61 keys as a student will outgrow a smaller keyboard very quickly. It is preferable to have a keyboard that is "touch sensitive." This means that the volume of the musical note will be louder with a harder finger strike and softer with a lighter finger strike. This is how all acoustic pianos work. However, you can start lessons with a keyboard that is not touch sensitive. It is preferable to have a keyboard that comes with a pedal or that can accept a pedal later on. Again, you can start without a pedal, but you will be able to use the keyboard longer if it can accept a sustain pedal later on. Sustain pedals are not expensive to add later. Q. Is my child ready for lessons? A. Most traditional piano methods such as the Alfred, Bastien, and Faber and Faber methods tend to work best with students who are 6 years of age or older, and sometimes 5 years of age. These methods all start with a strong approach towards note reading with the goal of the student being able to independently read notes from the earliest stages. All three are very good methods, and they all work well with school aged children. I generally favor the Alfred and the Faber and Faber Piano Adventures series. I find they work very well for most students. For younger students, ages 4 and 5, I use another method entirely, developed by master piano teacher, Irena Gorin, called Tales of a Musical Journey. The main focus is on developing mastery of technique fundamentals. For example, good hand position, proper height of the piano bench, playing with the fingertips, use of the arms and wrists for more musical playing, and learning to play with the metronome. All these are very important fundamentals that can easily be learned by 4 and 5 year olds that will give them the musical tools to play the piano well for the rest of their lives. It all takes place in the context of a story, with characters who demonstrate the fundamentals of technique and note reading. Parents of children under 6 years of age are required to attend all lessons. Q. Can I sit in on my my child’s lessons? A. Absolutely. It’s actually required for very young students (under 6 years of age). It’s not necessary for students who are older and more independent, but parents are always welcome. I do have a waiting area available as well. Q. 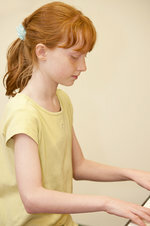 How do piano lessons work? A. Lessons are once a week, at the same time on the same day. I recommend 30 minute lessons unless students are more advanced. I start beginning students with a basic lesson book. This ensures that we cover all the basics of music reading. Once students have some basic reading skills, I like to add other songs into lessons as well. Tuition is prepaid monthly. Q. I’m an adult. Is it too late for me to learn? A. Absolutely not. Adults take piano lessons all the time, and they do learn to play. There are some differences in the way adults approach piano study as opposed to children though. Children tend to prefer to learn by imitation. Adults generally approach piano study more analytically, appreciating a working knowledge of music theory as they learn new songs. Both approaches work. Q. I really want to play a particular song. Can you help me learn it? A. If you have a particular goal or a song you really want to learn, let me know. Usually, I can work goal songs into lessons unless the song is significantly beyond a student’s current playing level. I want to help you achieve your goals though, so let me know. Q. Do I need to have previous musical experience in order to begin lessons? A. No. Previous musical experience is not necessary to begin lessons. I can take you through all the basics of music reading and proper hand positioning. If you have previous musical experience, that’s a bonus, but it’s not necessary in order to begin lessons. Q. I love playing the piano. I’m ready to move up to a more advanced instrument. What kind of piano should I buy? A. There are three basic types of pianos: digital pianos, uprights, and grands. Grand pianos are the best, and also the most expensive. The strings are stretched parallel to the floor, and the touch of the keys is most affected by gravity. This makes for a very responsive instrument, allowing for the most expressive playing. There are three types of grands. Baby grands are less than six feet between the keyboard and the back edge. Grand pianos are between 6 and 9 feet between the keyboard and back edge. At 9 feet, a grand piano is called a concert grand. This is the type of piano you would expect to see in a concert hall. Upright pianos have strings that are stretched perpendicular to the floor. They come in different heights: (from shortest to tallest) spinets, consoles, studios, and full uprights. Spinets are the shortest. The height of the piano is just above the height of the keyboard. People often buy spinets because they can fit underneath a window. The problem with spinets is that the active parts of the piano are necessarily underneath the level of the keyboard. This is the type of piano that is least responsive to gravity, and therefore, the least expressive of the acoustic pianos. Consoles, studios and uprights all have a similar feel. The primary difference between them is that the taller pianos have longer strings. Longer strings tend to be more musical and resonant. Digital pianos are widely available, and make sense for many people. Digital pianos look like spinets, and so tend to fit well in smaller spaces. You can play using headphones if necessary. They require no tuning. Acoustic pianos should be tuned every year or every other year. Digital pianos don’t require a truck to move. The keyboard comes off the stand for easy moving. Digital pianos often include helpful features like metronomes and recorders, and have fun sound options. Q. What is a metronome? A. A metronome is a device that produces an audible clicking or chirping sound at a specific speed. Generally metronomes can be set for between 40 beats per minute to well up into the 200's. Musicians use metronomes to train themselves to play music with a steady beat and at a specific speed by matching certain notes with the click or beep of the metronome as they play. Many keyboards and digital pianos come with a built in metronome. Metronomes can also be purchased separately online and at music stores. While it is not absolutely essential to use a metronome to play well, it can be a tremendous help in developing an inner sense of rhythm. I use both a digital metronome and a traditional key wound metronome during lessons. The key wound metronome with the swinging pendulum gives a wonderful visual sense of when to play on the beat as well a a more natural clicking sound, but both digital and key wound metronomes are perfectly effective. Q. What do you think of the Suzuki method for piano? A. I am not in favor of using the Suzuki method for piano. This method is a rote method. It involves teaching a child to play a musical piece entirely by demonstration and imitation, from memory. My experience with students who have started with the Suzuki method is that they are highly dependent upon their teacher to teach them a fairly small set of classical pieces, and that it is very difficult for them to learn to read music after spending so much time learning by ear. 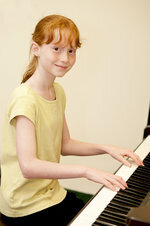 The good thing about the Suzuki method is that with the right teacher, the student can potentially learn a limited number of pieces with decent technique, but part of the joy of piano playing comes from the flexibility to be able to play many different styles of music, from classical to pop, from broadway to jazz styles. My goal is to give my students the tools to play well whatever music they would like to play, whether classical or pop, whether solo or with other musicians. Q. I have more questions. A. Feel free to call or email me with questions.